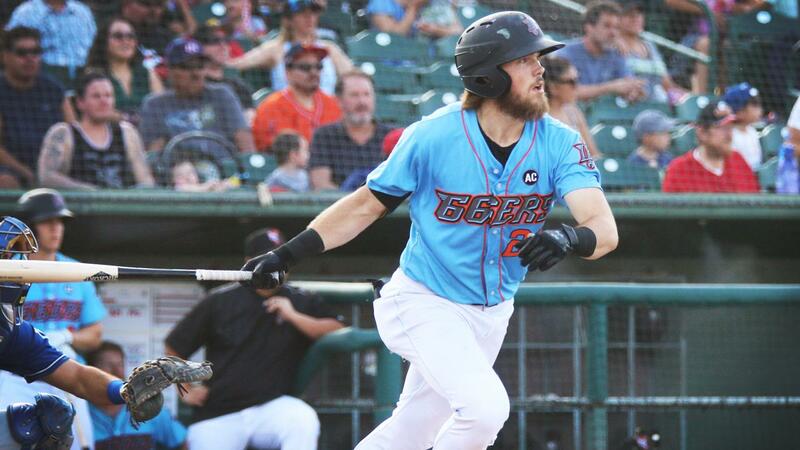 Rancho Cucamonga, CA- The Inland Empire 66ers of San Bernardino fell 15-11 to the Rancho Cucamonga Quakes on Labor Day to complete a four-game sweep and finish the season 67-73 overall and 34-36 in the second half. Inland Empire got a four-hit game from Brandon Marsh including two doubles and a homer (7th) while Jordan Zimmerman drilled a three-run shot, his 11th. David MacKinnon had three hits and a walk for in the loss. Carlos Salazar (0-3) took the loss on the mound for Inland Empire. Jordan Sheffield (1-3) was credited with the win with a scoreless seventh for Rancho Cucamonga (87-53, 52-18) while Connor Wong (19th) and Jared Walker (17th) each went deep. Omar Estevez notched four hits for the Quakes and finished the year on a 25-game hitting-streak. The Quakes finished the year 23-7 against Inland Empire including nine consecutive wins in the series in which they outscored the 66ers 100-36 over those games. The 66ers open 2019 campaign on Thursday, April 4th at 7:05 pm at San Manuel Stadium. The contest can be heard live at 66ers.com.